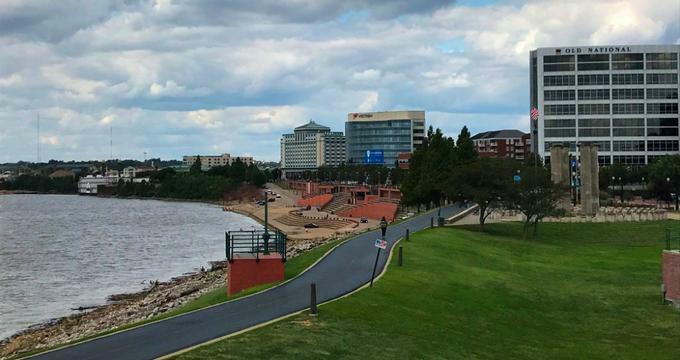 Evansville, Indiana, the third largest city in the state, is located on the banks of the Ohio River. It is home to an exciting array of historical and cultural sites, making it a popular tourist destination. Once voted the “best city in the country in which ‘to live, work, and play’” by the readers of Kiplinger’s Personal Finance, this thriving metropolis serves as headquarters for a number of major corporations and is the Midwestern hub for the healthcare and medical science industries. From the Dream Car Museum to Penny Lane Coffee House to Tin Man Brewing Company, there’s no shortage of fun things to see and do. The Evansville Museum of Arts, History & Science has just what the name implies, a little something for everyone. Currently located in the Downtown Historic District, the museum has been serving the city since 1874. It moved to its current location in the 1950s. A good way to get to know the museum is through its Museum Highlights Tour, which guides visitors through the three main areas of the museum. There are both permanent and traveling exhibitions as well as permanent collections. Visitors will also love the Koch Immersive Theater, where they’ll have a full-dome movie experience. Family movie nights don’t get much better. 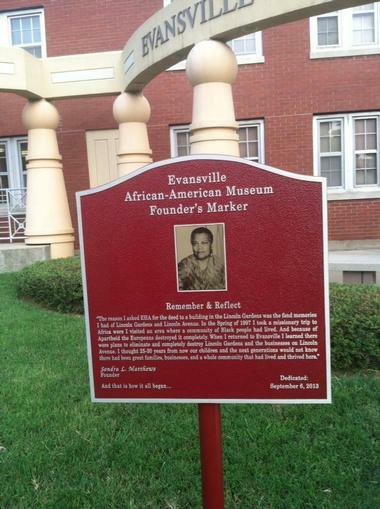 The location alone adds to the historical significance of Evansville African American Museum. In 1938, the second Federal Housing Project – Lincoln Gardens, was built as part of President Franklin D. Roosevelt’s New Deal. 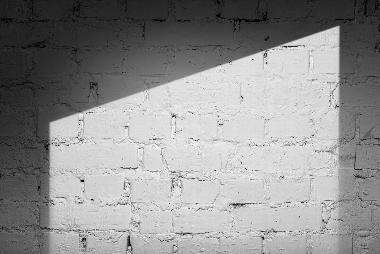 It is the last building standing from that project, and is itself an artifact of the museum. One area of the museum is dedicated to this important time in Evansville history, showing what life was like at the height of the New Deal. Important temporary and traveling exhibitions like Emancipation and Its Legacies and American Mosaic: The History of Multiracial America are also hosted by the museum. Visitors can plan ahead by checking the website for the latest exhibitions, film screenings, and museum events. Hartman Arboretum is located on the private property of Grant and Jean Hartman. Grant began the design and planting in 2001, and today, the arboretum is maintained by the Hartman family and a group of volunteer master gardeners. Visitors can expect to see three gardens – a wildlife garden, hydrangea garden, and contemplative garden. There is also a stumpery, native vine arbor, pick-your-own blueberry patch, crabapple espalier, fall color grove, and an oak grove. They hold events spring through fall, such as Butterfly Day, Moth Night, Spring at Arboretum, Tree ID, and others. Hartman Arboretum is open to the public year round. Military history buffs shouldn’t miss taking a guided tour of the USS LST-325, a fully operational World War II vessel in the LST (Landing Ship, Tank) category. Guided tours of the ship are available for individuals and groups and last approximately 60 minutes. Guests are treated to well-preserved artifact, document, and photo collections and have the opportunity to visit the main deck, the sleeping quarters, the tank deck, the mess deck and galley, the stern of the ship, the wheel house, and the officers’ quarters. After the tour, visitors can stop by the gift shop for something unique to remember their trip to the USS LST-325. Angel Mounds State Historic Site spans 100 acres along the Ohio River in southwestern Indiana just 8 miles outside Evansville. It is the best-preserved site of pre-historic Native American culture in the country and is a National Historic Landmark. Angel Mounds was built by Middle Mississippian Native Americans, who resided there from 1000 to 1450 AD. Archaeologists believe the biggest mound was where the village was located, while smaller mounds had cosmological and ceremonial purposes. Visitors can learn about the pre-historic culture via a model museum depicting everyday life. 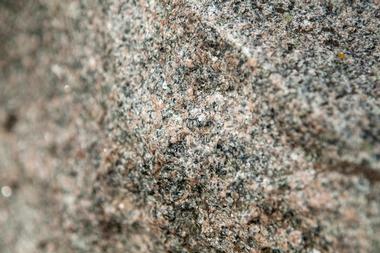 There are also biking and hiking trails, and seasonal events at the site. 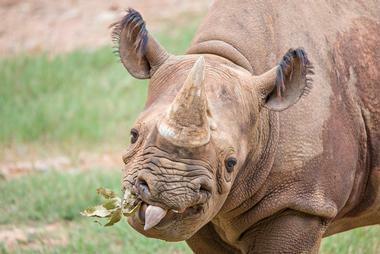 Mesker Park Zoo and Botanic Garden sits on 45 acres in northwest Evansville. The zoo, which houses over 700 animals, is organized geographically, and visitors can experience the animals of Africa, Asia, Australia, and North and South America in a day. There isn’t a single botanical garden, but rather themed gardens throughout the zoo that are representative of the geographical areas. Other amenities include Rainforest Grill for a bite to eat and Wild Rivers Trading Co. Gift Shop for a little souvenir shopping. Families will also like the Engelbrecht Carousel, paddleboats, and bumper boats. Strollers and accessibility rentals are available. Burdette Park is a 170-acre recreational park outside Evansville, Indiana. This wooded parkland is perfect for hiking, jogging, or biking paved trails where visitors can enjoy a new experience each season. Guests can pick up the main trailhead behind the park’s Discovery Lodge, but there are many other more primitive trails for nature lovers to explore. The park also has rustic chalets for rent with modern amenities as well as a large wooded campground for tents. In summer, park guests will appreciate the Burdette Park Aquatic Center with an Olympic-size pool with two diving boards, a resort-style family pool with slides, and a children’s pool. The Children's Museum of Evansville is located in downtown Evansville. The 18,000-square-foot art deco building houses a dynamic mix of exhibits, galleries, programs, and activities. 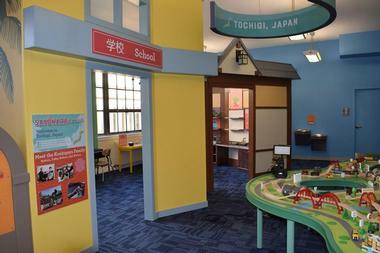 Families are encouraged to explore the museum together and use the time to interact and bond. Favorite activities at the museum include climbing Moe the two-story Duck, playing a laser harp, having a watery good time at the Wet Deck, and chatting with a talking bust of Mark Twain. The first floor includes the Freedom Gallery, Quack Factory – Wet Deck, and the Work Smart technical and mechanical exhibit. On the second floor, visitors will find the Live Well personal wellness gallery, the Speak Loud music and drama exhibit, and Quack Factory – Upper Deck. 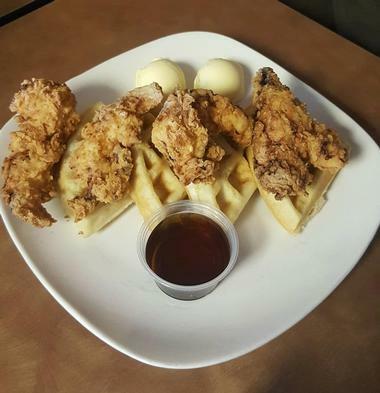 Cross-Eyed Cricket is an independent family-owned restaurant serving affordable comfort food along the Lloyd Expressway. In fact, they’re so sure guests will agree, that they’ve given their new second location on Main Street the name Comfort by Cross-Eyed Cricket. Diners can expect classic American dishes like soups, salads, fried catfish, burgers, and grilled pork tenderloin. Probably the best time to visit the restaurant though is for breakfast, where diners rave about the biscuits and gravy, pancakes, crepes, skillets, and omelets. A side note on the Tedula family is that each year they open their restaurant on Christmas Eve and offer free meals and a visit with Santa. They’ve also opened a homeless shelter for children. The Donut Bank has been serving up scrumptious donuts, cakes, cookies, brownies, and bagels with a smile since 1967, and today does it from six convenient Evansville locations. Hungry visitors can expect yummy cookies like their turtle cookie, white chocolate macadamia cookie, and fancy iced cookie. They have 17 kinds of doughnuts, plus seven specialty donuts. No ordinary brownies here either, rather they have caramel pecan, M&M, peanut butter, and walnut brownies. Their seven kinds of muffins include two low-fat options – pineapple upside down and apple cinnamon. Those not into sweets can choose from eight styles of bagels. 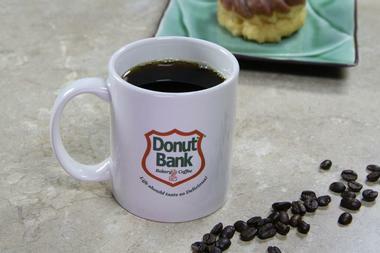 The Donut Bank donates all of their day-old donuts to local shelters and the food bank. There are over 60 exotic and vintage vehicles, the Midwest’s largest collection, at Evansville’s Dream Car Museum. The Classics collection includes vehicles from the 1920s to the 1960s, and visitors will find a Model A Ford, a ’57 Chevy Bel Air, a roomful of classic Corvettes, and others. There is a collection of popular American muscle cars as well as an Exotics collection that includes Rolls Royce, Bentley, Lamborghini, and other marques. Visitors will also see a classic truck collection in addition to cars from TV shows, Hollywood movies, and renowned raceways. Add to that all types of vintage auto memorabilia, and it’s simply one eye-popping sight after another. There is no entrance fee, but visitor donations go toward a different local non-profit each month. Watching the Evansville Otters play ball at Bosse Field feels much like it did when the ballpark was opened in 1915. One of the three oldest ballparks in the country, behind Fenway Park and Wrigley Field, it’s the lesser known park except for its historical significance. Bosse Field is home to the Frontier Minor League baseball team, Evansville Otters. The jam-packed season begins in May and runs to early September. 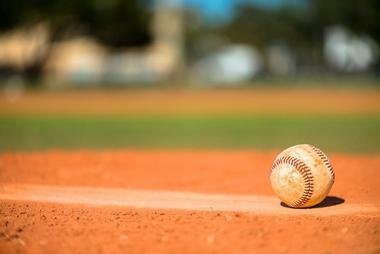 Baseball enthusiasts can experience the nostalgic ambience of rooting for the home team on a family day out and bring the whole gang for a pre-game picnic or an event on the Bud Lite Lime Patio. There was no greater wartime effort at home than during World War II, when everyone played their small part to support our troops and allies. 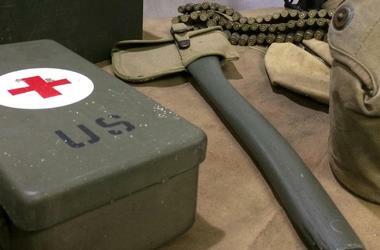 The Evansville Wartime Museum pays tribute to the local war efforts following Pearl Harbor. The Evansville workforce built fighter aircraft and ships and refurbished tanks. They dominated the production of LSTs (Landing Ship, Tank), which were used by the Navy to carry tanks, vehicles, cargo, and troops right to shore with no need for a pier or dock. One gallery is dedicated to the USO Canteens and Red Cross Canteens that provided respite and entertainment to weary troops. 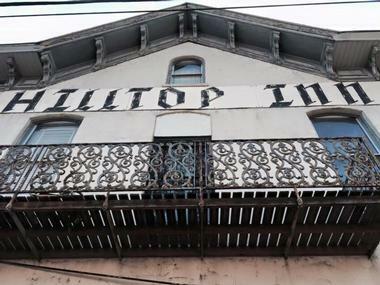 Hilltop Inn is a tavern-style family-owned restaurant located on Evansville’s West Side. Originally an 1839 stagecoach stop, the business first served travelers with a saloon, dining room, general store, feed store, and second-floor hotel rooms. Today, they’re a home-style restaurant and tavern with an indoor family dining room. Outside, there is casual seating at concrete tables and benches, sheltered under umbrellas sporting beer logos, spread across a wide front porch. Hilltop Inn is known for their unique Southern Indiana country-style menu that includes specialties like Icelandic cod, fried chicken, and their famous cow brain sandwiches. The restaurant and bar are open Monday through Saturday from late morning to late night. The 35 acres of Howell Wetlands are part of the Wesselman Woods Nature Preserve, one of Indiana’s biggest urban wetlands and designated by the City of Evansville in 1997. 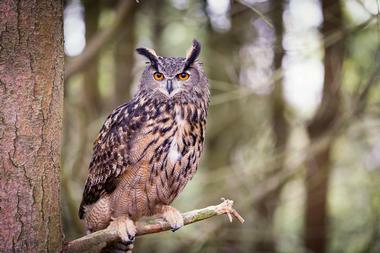 It’s managed by the Wesselman Nature Society. Visitors can visit the unique ecosystem year round and see a variety of natural habitats that include a slough, marsh, and river oxbow. There are over 2 miles of trails in the wetlands, crossing wooden walkways and bridges and making for interesting hiking opportunities. A new conservation station is a model of sustainability, with solar powered electricity, locally sourced recycled plastic railings, low-flow water, and energy-saving lighting. Located on the west side of the Snodgrass Floral Company parking lot entrance, the Isaac Knight Memorial is a nondescript marker in a tiny garden along the sidewalk. It marks the gravesite of Isaac Knight, who was captured at age 13 in 1795 by Pottawattamie Native Americans and escaped two years and three months later. Knight crossed the Ohio River with four friends on the day of his capture. Two of the friends were killed and two were captured by Kickapoo Native Americans. They escaped a year prior to Knight’s escape. There is a painting in the Evansville Museum of Arts, History, and Science depicting his experience. John James Audubon State Park is located outside Evansville across the state line in Kentucky. One of the park’s highlights is a museum that commemorates the John James Audubon family in the context of world events. There are three galleries displaying over 200 objects, his masterwork, The Birds of America, and other original art. A gift shop features nature-inspired gifts, many of which are by Kentucky artisans. The park also has a nature center in the same building as the museum. 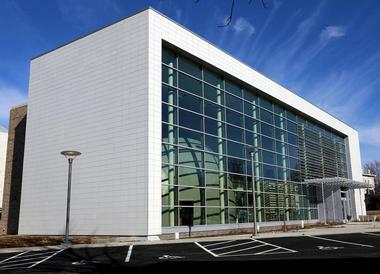 It offers guests the Discovery & Learning Center, the Audubon Theater, and a wildlife observation room. The park is open year round. Newburgh is 20 minutes outside of Evansville on the Ohio River Scenic Byway. The Newburgh Museum is located downtown on Main Street in the Old Newburgh Presbyterian Church, and visitors will find exhibits about Newburgh’s founding and history. It was the first town Confederate forces captured north of the Mason-Dixon Line during the Civil War. 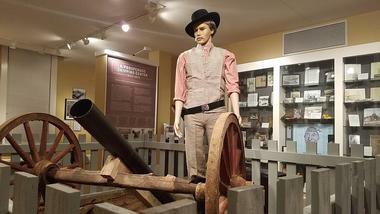 Permanent exhibits recount four eras of the town’s history – founding, industrial heyday, decline, and modern resurgence. 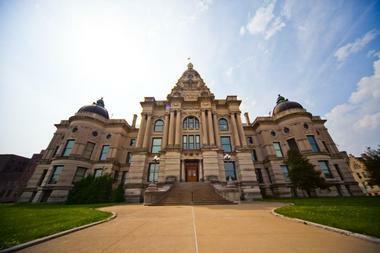 Although the museum is only open to the public on Fridays and Saturdays for about 4 hours, visitors to Evansville can call the museum to arrange for tours by appointment. There is no admission fee, but donations are encouraged. Penny Lane Coffeehouse is a self-described “place to take time and remember why you’re living.” With a philosophy like that, coffee lovers can expect a warm and welcoming ambience. This laidback coffee shop is a favorite neighborhood hangout with an eclectic mix of people, offering a peek at life in Evansville. Lucky guests could even run into a former president or a sport’s legend! Besides great coffee in any form from lattes to espressos, Penny Lane serves a menu of specialty sandwiches and build-your-own breakfast or lunch sandwiches. They also have a range of other tempting hot and cold drinks. 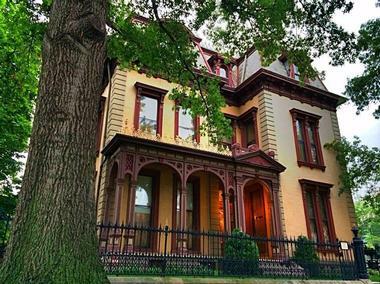 The Reitz Home Museum is the 1871 home of former lumber baron and philanthropist John Augustus Reitz, his wife Gertrude, and eight of their ten children. Built in the style of Second Empire architecture, the residence is decorated with authentic period furniture, hand-painted ceilings, hand-laid parquet floors, marble fireplaces, and stained-glass windows. 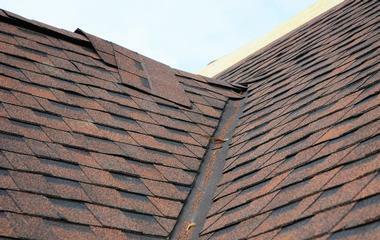 It was placed on the National Register of Historic Places in 1974 and has been featured in a number of national broadcasts as well as print publications. Visitors can tour the home starting at the visitors center in the carriage house. Tours are one hour and cover 12 rooms in the house. Admission is nominal. Fans of the popular sitcom Roseanne will recognize this house as the exterior of the Conner family home featured in the opening credits. Located at 619 South Runnymeade Avenue, the building is not far from the pizza restaurant at 1200 Edgar Street that stood in for Roseanne’s favorite hangout, the Lobo Lounge, and the corner of Third Avenue and Delaware Street, though the street signs are not the original ones that can be seen in the series. A local Catholic church also served as the Conner’s church. The Evansville location shots are a nod to the show’s creator, Matt Williams, a native of this Indiana town. © Tin Man Brewing Co. This modern-day taproom was originally built in 1869 as a boarding house that made its tenants feel welcome in the ground-floor tavern. The bar area is limited to adults over the age of 21, but the casual outdoor patio is open to all ages and even welcomes dogs! The brewery is locally owned and operated and their innovative brewing process and sustainable practices make their canned craft beers a hometown favorite. The microbrewery was established in 2012 and now has several satellite breweries and distribution centers, but the owner still brews original recipe pale lagers from the original location in downtown Evansville. Evansville recently welcomed the state’s first land-based casino when the Tropicana brought a bit of Vegas to central Indiana. 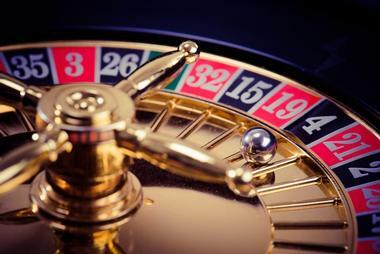 Operated as a casino and hotel complex, this combined facility offers high-rolling guests a place to play and stay. The 24-hour casino has a variety of slot machines and table games as well as a poker room spread out over 45,000 square feet of gaming space. Guests can enjoy casual to fine dining experiences at the Tropicana’s restaurants and bars, followed by an evening of live entertainment at the Piano Bar at Cavanaugh’s or 421, the casino’s high-octane dance club. The Willard Carpenter House served as a station on the Underground Railroad, and this distinction has earned it a place on the National Register of Historic Places. The owner, Willard Carpenter, was a businessman and philanthropist from Vermont who showed his commitment to African Americans by welcoming runaway slaves into his home through a tunnel originating on the banks of the Ohio River as well insisting that the library he commissioned “be maintained for the free use of all persons who may desire to consult it.” The Willard Carpenter house is now the home of local affiliates WNIN (TV) and WNIN-FM. 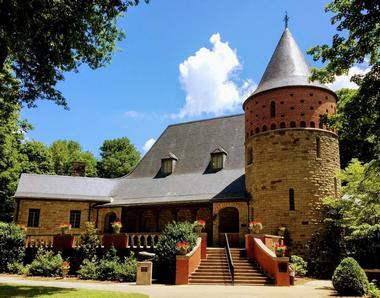 This family-owned vineyard produces an assortment of fruit and spice-infused wines, signature blends, traditional German varieties, and premium selections. 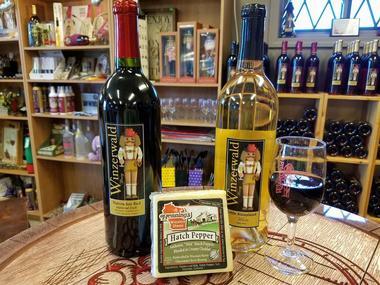 Perched on a hilltop in the Hoosier National Forest, this award-winning winery is home to an indoor tasting room and outdoor weingarten, the Cheese Haus with an assortment of cheeses from the Midwest, and a gift shop. Visitors can join the Wein Klub for discounts on wine purchases and access to member-only events. Indiana residents can have their purchases shipped to their home. Free wine tastings and true Southern hospitality make this small winery a favorite stop on the Indiana Uplands Wine Trail. Tin Man Brewing Co., Photo: Tin Man Brewing Co.